Israeli Prime Minister Netanyahu spoke on the phone with President Trump on Saturday. Why it matters: Israel is closely following the Trump-Putin summit, which takes place Monday in Helsinki, Finland. One of the main issues in the summit will be a possible deal on the future of Syria. Israel wants Iranian forces, Hezbollah and pro-Iranian Shia militias out of Syria in any future deal. Israel is concerned about possible pullout of U.S. forces from Syria, which will allow further entrenchment of Syrian forces in the country. Israeli officials told me Netanyahu called Trump to coordinate before the Helsinki summit tomorrow between Trump and Russian president Vladimir Putin. The White House still hasn't given any details about the call. What they are saying: During the phone call last night Netanyahu briefed Trump on the talks he had with Putin in Moscow last Wednesday. 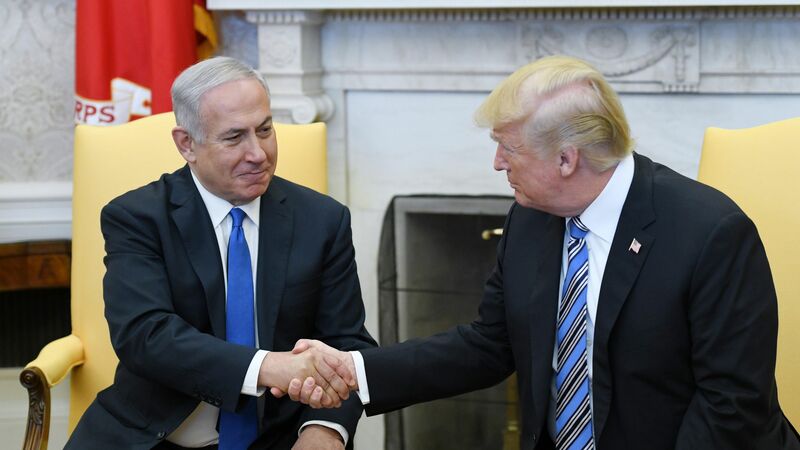 Netanyahu said at the top of the cabinet meeting today that he thanked Trump for his policy against Iran "which shows it is affecting Iran both domestically and regionally". Netanyahu said Trump reiterated his commitment for Israel's security during the phone call. What to watch: Netanyahu said last week after his meeting with Putin that he told the Russian president that Israel will have no problem with Assad staying in power in Syria as long as the Iranian and pro-Iranian forces leave the country. Netanyahu's position is on the same page with U.S. policy. National Security Adviser John Bolton told CBS earlier in July that the strategic issue in Syria is Iran and not Assad. The big question mark: What happens if Trump puts a deal along those parameters on the table during the summit.